Contains a special water retaining agent, aquasorb, which absorbs and retains large amounts of water and nutrients. Aquasorb releases the absorbed water and nutrients as and when the plant demands. 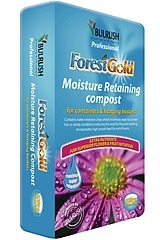 Use this compost with hanging baskets, containers, tubs and window boxes. Sizes: 60L bag & 20L carry bale.